Businesses often consume a lot of energy – compared to homes, businesses tend to use a lot more energy. Whether it’s an industrial/manufacturing business or an office with air-conditioning, energy consumption is almost always higher at a business than at a home. Business hours are sunshine hours! – Because many businesses operate primarily during the day, solar panels can be very effective at offsetting consumption. This is when solar power can be most valuable. Solar power can offer businesses a better Return On Investment (ROI) than investing in other areas. Tax advantages and effective financing arrangements can make commercial solar power financially very attractive. A commercial solar system installed by Solarbank. Should businesses choose a solar system differently to how a homeowner does? Not necessarily. Businesses, however, may have different priorities to homeowners. Often for commercial solar the greatest emphasis is on the financial impacts i.e., the initial outlay vs the savings from the system. We would recommend however that equal consideration be given to the professionalism of the installers and the quality of the components. A poorly installed low cost system will cost more in the long term than a professionally installed high quality system. 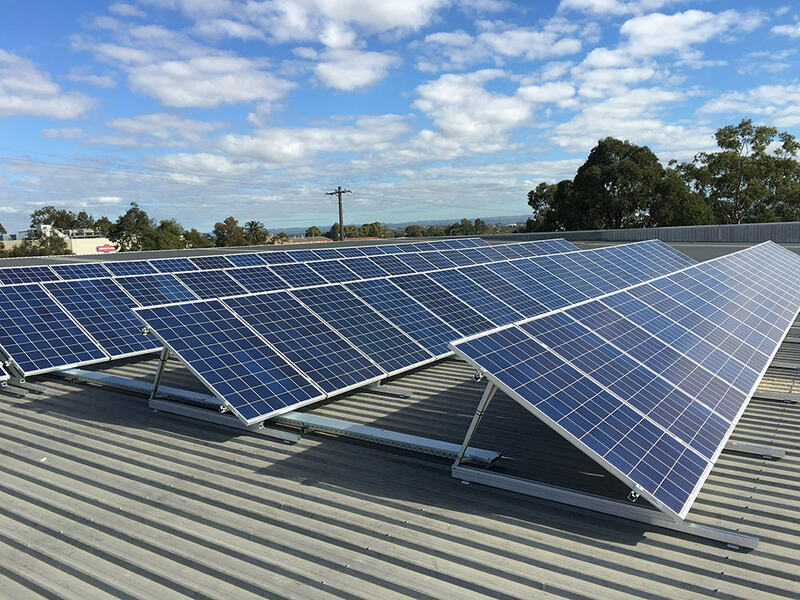 If you’re considering a commercial solar system in Sydney there are a variety of things to keep in mind. Which type of system should you invest in? How large should your solar system be for the best savings outcome? What Return On Investment (ROI) do you need to make the investment worthwhile? Should you choose LG solar panels, Trina solar panels or another brand? What are the rebates available to your business? What are the tax implications of owning a solar power system? Will a direct investment or finance arrangement work best for your business? Solarbank can perform a full financial analysis for you to help you understand the potential benefits as well as which system would best suit your needs. 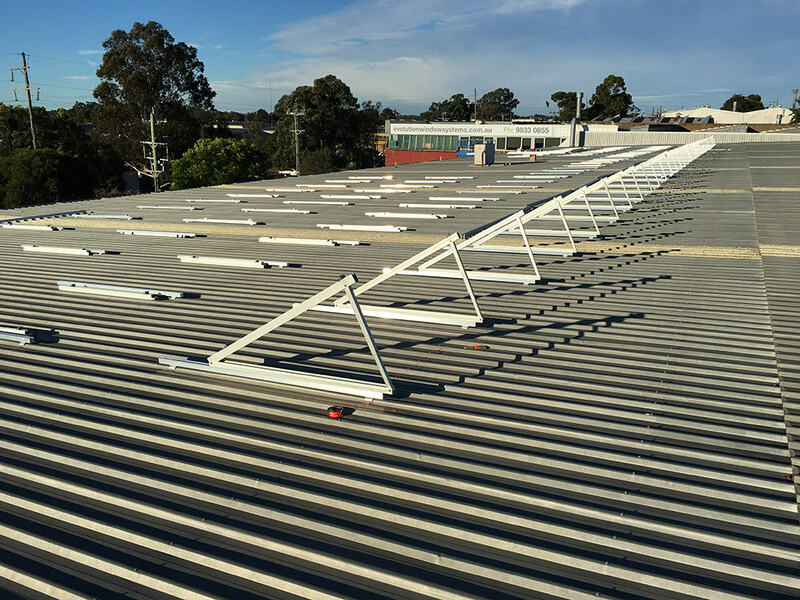 The racking of a commercial solar system installation in Sydney before the panels went on.